Good Night Rhode Island features Green Animals Topiary Garden, Newport Cliff Walk, sailing on Narragansett Bay, Block Island ferry, sandy beaches, Slater Mill, Blackstone River Bikeway, Pawtucket Red Sox, lighthouses, and more. This delightful board book tours young readers around the Ocean State while teaching them about the region's famous landmarks and fun attractions. Mark Jasper is the author of many books in the Good Night Our World series, The Cape Cod Christmas Cookbook, Haunted Cape Cod and the Islands, and Haunted Inns of New England. He lives in Sandwich, MA. 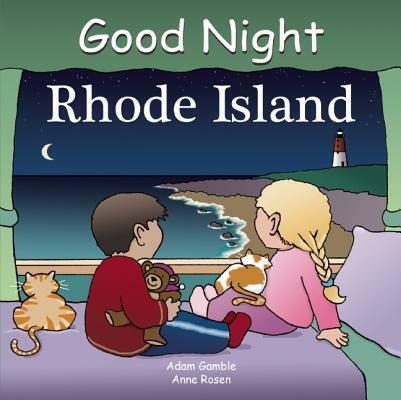 Anne Rosen is the illustrator of several books in the Good Night Books series, including "Good Night Martha's Vineyard" and "Good Night Nantucket." She lives in Truro, Massachusetts.